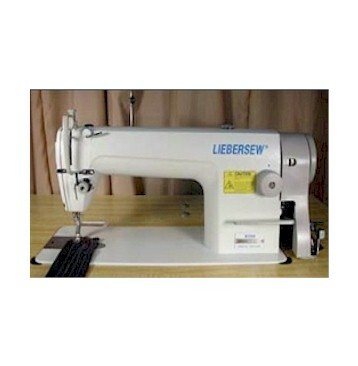 Our Liebersew 8700 SDtraigSewing Machine comes complete with table, stand and servo motor.This is a single needle lockstitch machine that stitches up to 5,500 stitches per minute. 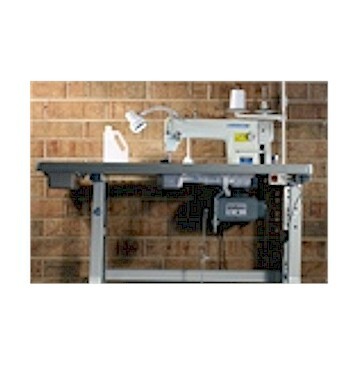 Features Fully automatic lubrication, foot lift, 1/2″ foot lift by knee lever, 1/4″ foot lift by hand lever, maximum 5mm stitch length, minimum 6 stitches per inch. 110V-Servo Motor. This machine comes with: Bobbin Winder, 6 extra needles, machine Oil, Tools, Instruction manual, Oil Pen, Knee Lifter, Sewing Drawer, Thread Stand, V belt, Formica table top and includes New LED Light. Please note our price does not include inside delivery and shipping which adds $250.00 to our sell price. Made in China.